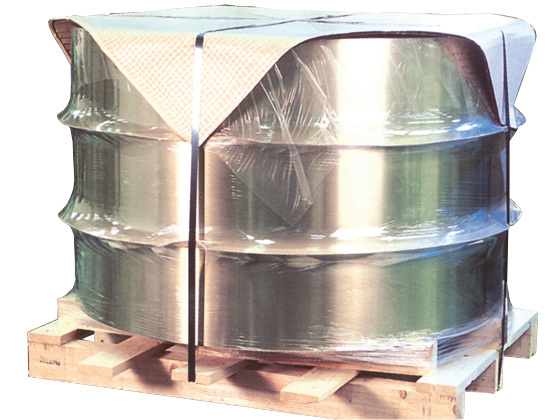 Nolco-Pack is square cut and serves as a top cover, interlayer, and edge protection for large rolls or cylindrical products stored and transported upright. The core of the product is four soft wood fiber panels, which combined form a square and are laminated on both sides. Nolco-Pack can be bent easily around the coil edge at the corners, adapts to the shape of the packed material, and creates no protrusions. Depending on the quantity, Nolco-Pack is available with individualized color or printing on the outside liner.